Do I have to book beforehand ? How do I book an free lesson? Do I need to schedule a Private Lesson? In a word Yes you do need to book a private lesson. Private lessons are held normally one to one, and at a time that is mutually acceptable. Also we may need to specially book the venue. So please get in touch via the BOOK A LESSON page and we will schedule a suitable time to get you dancing. Do I have to have had dance lessons before? You don’t need to have ever danced before to attend a lesson with us, as we will work with you to build your confidence and skills and we will have you dancing in no time. Dont forget, you can always have a free taster class for FREE, click on the FREE LESSON OFFER page to book your place. Where are your classes held ? 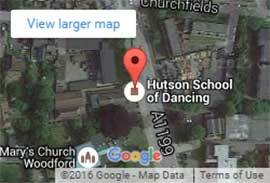 Lessons are held at the Memorial Hall, South Woodford. See our How To Find Us Page for full details. Do you provide private lessons ? Yes. Private lessons are available for all ages and levels of ability. Casual clothes are fine. However, it is better not to wear trainers as they grip the floor too firmly. Do I need a partner ? We are happy for you to come along either with or without a partner. Please Could You Let Us Know How You Heard About Us? What Are You Waiting For, Get Started Dancing Today! Why Not Book A FREE Lesson Today! Book Your FREE Lesson Here! Asking Questions Couldn’t Be Easier! Use The Priority Message Form 24/7 Above & We Will Get Back To You! You Can Call Our Office Team Mon – Fri 9-4. You Can Call Our Office Team Mobile Mon – Fri 9-4. If You’re Reading This On A Mobile, Then Simply Click On The Orange Phone Button in The Bottom Right Hand Corner To Call Us.